This article by Elan Head originally appeared on verticalmag.com. 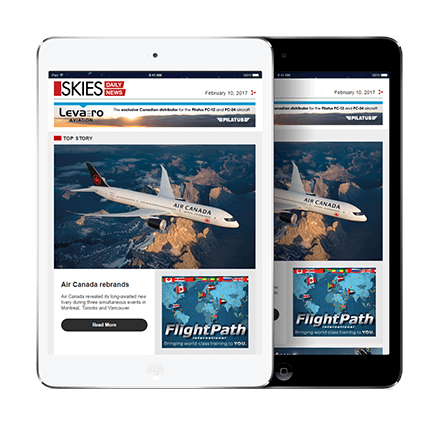 Vertical Magazine is Skies’ sister publication and the world’s foremost helicopter industry authority. This story contains an important, universally-applicable message for everyone in the aviation industry. The first sign of trouble came in the form of a question. It was Jan. 12, 2018. 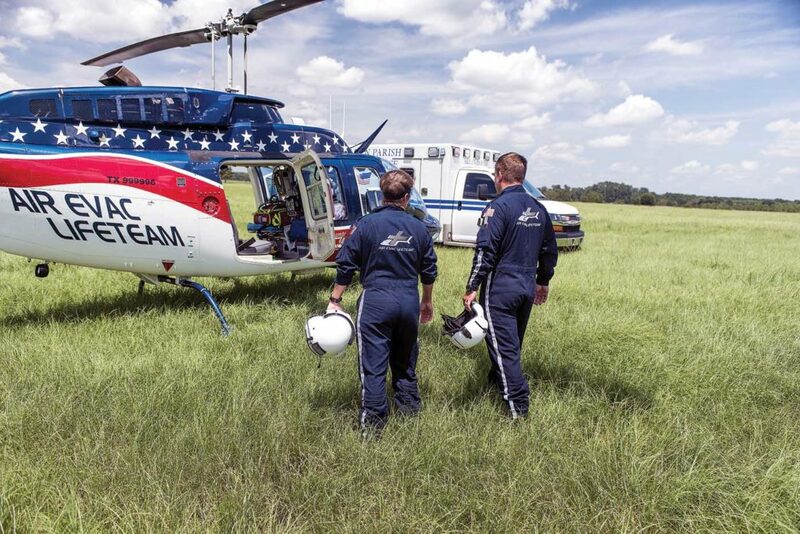 The Air Evac Lifeteam helicopter had just lifted from a scene call near its base in Kinder, La., north of Interstate 10 between Lake Charles and Lafayette. The patient was a frail, elderly woman who had been sedated and intubated on scene. “Lafayette General,” Abshire replied, referring to Lafayette General Medical Center, around 50 miles (80 kilometres) to the southeast. “OK, where?” the pilot asked. The helicopter was now about 800 feet over the ground. Abshire asked Coupel to get out of her seat and tell the pilot where they were headed. She unbuckled her seatbelt, removed her helmet, and moved forward to tap on the pilot’s shoulder. Coupel returned to her seat, put on her helmet, and plugged in. “Lane, something’s going on,” she said. It was around that time that Abshire realized they were flying in the wrong direction. There’s not much room in the back of a LongRanger equipped as an air ambulance. 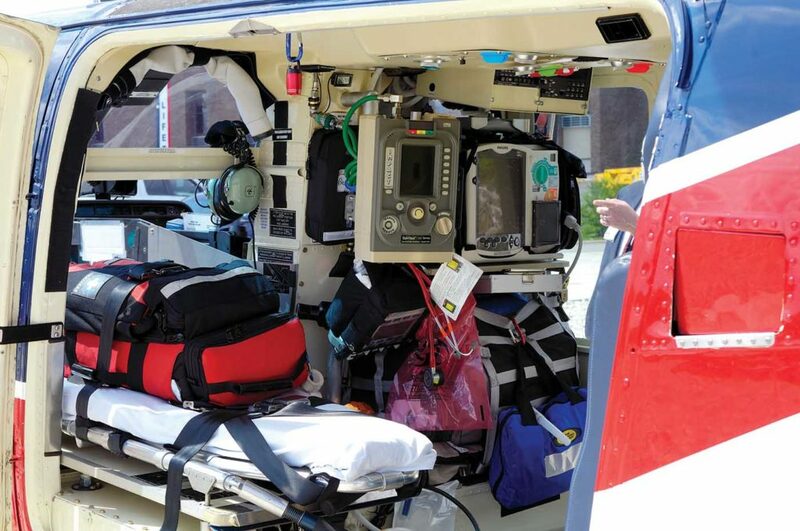 In Air Evac’s medical interior configuration, the stretcher is positioned on the left side, with the patient’s feet in the position that would normally be occupied by the co-pilot’s seat. A structural metal bar extends over the patient, behind where the co-pilot’s shoulders would be. As Abshire explained later, “on any other given day in south Louisiana, it’s nothing for us to transport 200-pound, 250-pound patients.” But their patient that day was a scant 85 pounds (40 kilograms), giving him just enough room to squeeze between the patient and the bar once he removed his helmet. It was now apparent to Abshire that the pilot was having a serious medical emergency. When he looked back at Coupel, she realized from his expression that they were in trouble. She was terrified. “She was emotional, and I was trying to hold it together,” Abshire recalled. Because he had removed his helmet, he had to shout at Coupel over the noise of the engine and rotor. “I yelled at her, ‘Call mayday . . . get on the radio and call mayday, this is happening,'” he said. 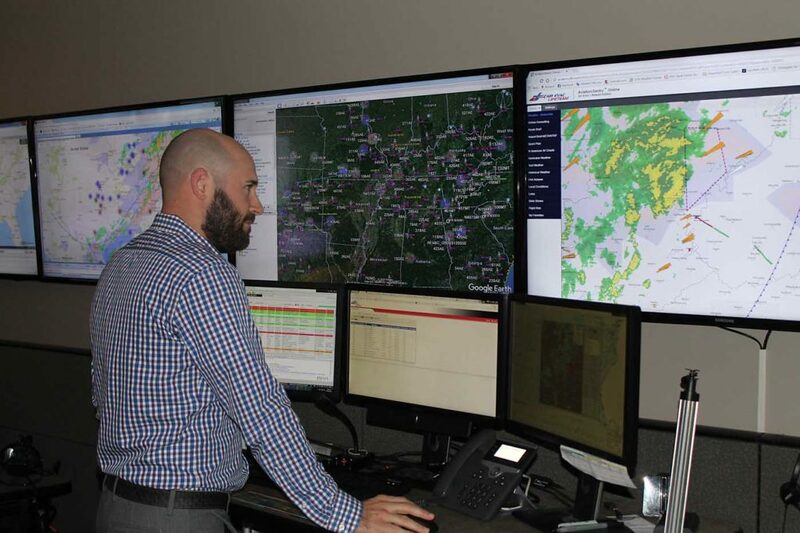 More than 500 miles away in O’Fallon, Missouri, Tim Cincotta was sitting at his desk in Air Evac’s operations control center (OCC). Cincotta is a commercial fixed-wing pilot who has worked for the company as an operations control specialist since 2010, tracking flights and weather and evaluating line pilots’ risk assessments. That Jan. 12, nothing he had seen in his eight years on the job had come close to what was happening in Kinder. Air Evac’s headquarters in O’Fallon includes a central communications center, or “cen comm,” as well as the OCC. Typically, cen comm specialists are the ones who liaise between dispatching agencies, the company’s aircraft, and receiving hospitals, and are therefore the ones monitoring radio communications at all times. But on this day, another OC specialist happened to be monitoring the specific “tower” frequency that allowed the ship from the Kinder base, Air Evac 125, to communicate with headquarters via radio over internet protocol. Pilot incapacitation is never a good thing, but in a light helicopter flown by a single pilot, it is close to a death sentence. A standard LongRanger certified for visual flight rules (VFR) has no stability augmentation system (SAS), no autopilot, none of the inherent stability of an airplane. If the pilot ceases to actively fly the aircraft, control will be lost within seconds. Fortunately, this was not a standard LongRanger. 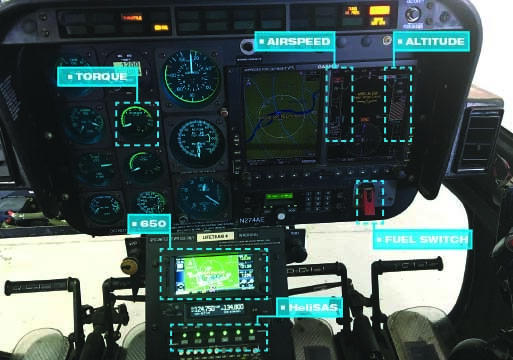 Air Evac had recently completed the multi-year process of equipping its fleet with Genesys HeliSAS stability augmentation systems and autopilots, along with Garmin GTN 650 GPS units and G500H glass cockpits. All of these were on the aircraft in Kinder. Now, Cincotta recognized that the HeliSAS also represented the crew’s best chance of survival on this clear sunny afternoon in south Louisiana. He asked Coupel whether the autopilot was engaged; back in the helicopter, she shouted the question at Abshire. But HeliSAS was still new to the company, and the OC specialists had never had a reason to learn the system intimately. They scrambled to find maintenance controllers and simulator instructors who could advise them; nevertheless, Cincotta felt increasingly pessimistic about the crew’s chances. Meanwhile, in the cockpit, Abshire was desperately trying to get through to the pilot. Although the HeliSAS was engaged, the pilot’s right hand was still on the cyclic, and the aircraft kept banking to the left. Abshire put his hand on the pilot’s cyclic hand and helped him level the aircraft. They were still flying, but Abshire didn’t have an endgame. Then, randomly, the pilot looked away from Abshire and toward an open field in front of them. “There,” he said. The pilot went for the collective and the helicopter began to descend. Abshire yelled at Coupel, “This is it!” He knew that the autopilot would disengage as they slowed and approached the ground, and his anxiety was intense. His hand was still on the pilot’s cyclic hand, helping to correct for left drift. Alone in the back, Coupel was surprisingly calm; the familiar feeling of a smooth, controlled descent put her at ease. “Which is crazy, if you think about it . . . no big deal, when this is essentially the moment that’s going to decide what our fate is in this aircraft,” she said. Coupel ignored him, remaining in her harness and exiting from the left side of the helicopter only after Abshire had completed his shutdown procedure: rolling down the throttle and turning the fuel and battery switches to OFF. In the time it took her to walk around the front of the aircraft, the pilot, still in an altered mental state, had managed to flip the switches back on. She turned them off again, then physically pulled the pilot from his seat and stood between him and the aircraft as they waited for the emergency response. Abshire peeled himself backwards out of the cockpit and began attending to the patient–who, of course, was still on life support. 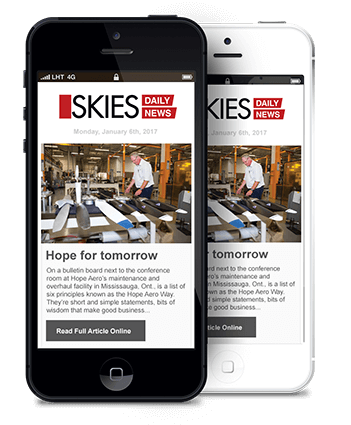 Abshire learned later that the entire incident–from the time the pilot developed altered mental status until the skids touched the ground–lasted only eight minutes. Back in O’Fallon, Air Evac’s leadership team was stunned by what had transpired. Within 36 hours, key managers were on the ground in Kinder, “just to give us hugs and make sure we were OK,” Abshire said. But it would take the company much longer to determine an organizational response to the incident. “We had never dealt with anything like this, and there was really no playbook that was applicable for this type of event,” recalled Tom Baldwin. 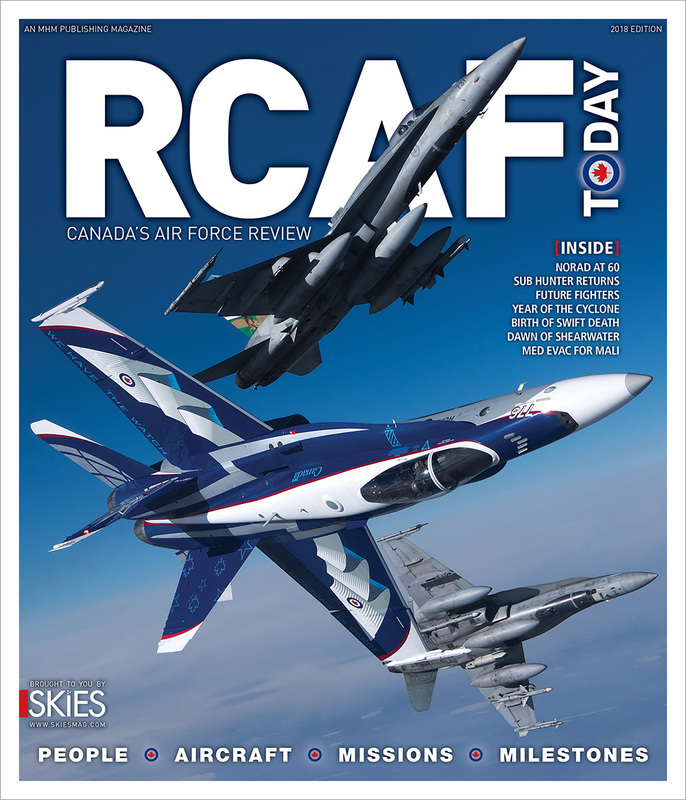 The first priority, he said, was to debrief the flight crew and OC specialist to understand exactly how the incident had played out from each of their perspectives. But that still left the problem of how to explain what had happened to the rest of the company’s employees. 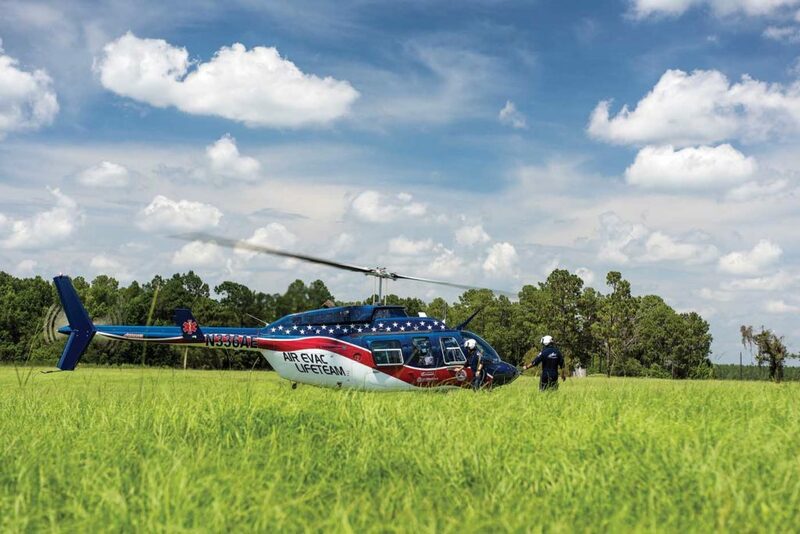 Once they had developed a rough plan, Air Evac president Seth Myers recorded a video message to employees describing what had happened, and how they intended to prepare their teams to handle such events in the future. Over subsequent weeks, the company developed a training program in two parts. The first part encompassed autopilot familiarization training for medical crewmembers: how to engage the HeliSAS, how to use it to hold heading and altitude, how to set it up to fly an approach to the nearest airport. 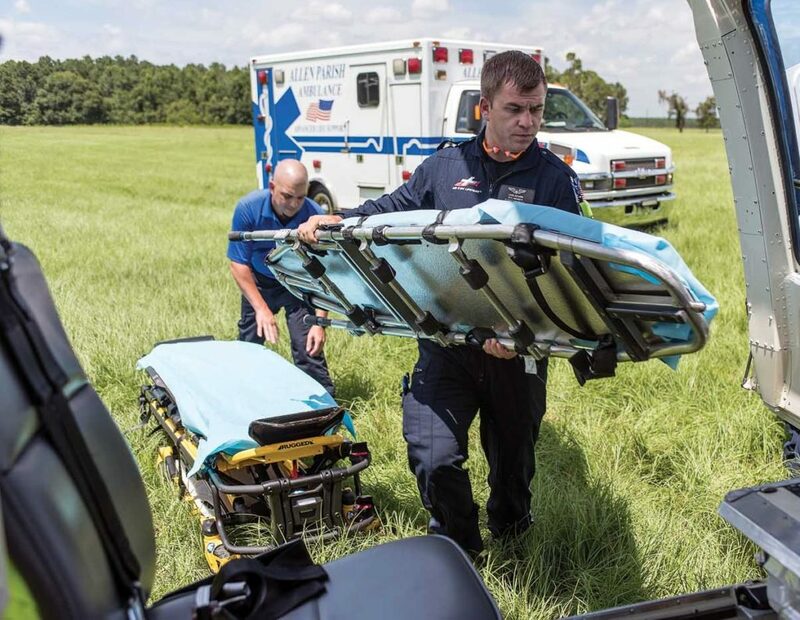 This video-based training has now been provided to all of Air Evac’s current nurses and paramedics, and has been integrated into initial training for new hires. According to Abshire, if he had had the training before his event, he would have known immediately how to tell that SAS and heading control were engaged. He would have known, too, that instead of counteracting the pilot on the sensitive cyclic control, he could have simply removed the pilot’s hand to have the HeliSAS auto-level the aircraft. Most importantly, he said, knowing from the outset that there was something he could do would have instantly created the task orientation that is so critical in an emergency. The second part of Air Evac’s training program was developed with and for its OC specialists, who now have clear, scripted guidance for talking crewmembers through a pilot incapacitation event. “After the event, we felt we had dodged something there,” said OCC manager Brian Allison, a former U.S. Army Apache helicopter pilot who was a pilot recruiter for Air Evac before moving into his current role. OC specialists were given in-depth training on the HeliSAS system, then worked with the company’s flight simulator instructors to write and test the step-by-step procedure for responding to pilot incapacitation. The procedure evolved through multiple iterations, but now “I feel we have perfected it,” Allison said. He noted that comm specialists with no flight experience have been talked through the procedure in the simulator with successful outcomes. And it’s not only medical incapacitation events where the procedure could be needed–it would also be relevant if a pilot were to be incapacitated by a bird or drone strike. According to Baldwin, there’s no question that the autopilot technology on board the aircraft was vital to the successful outcome in Kinder. 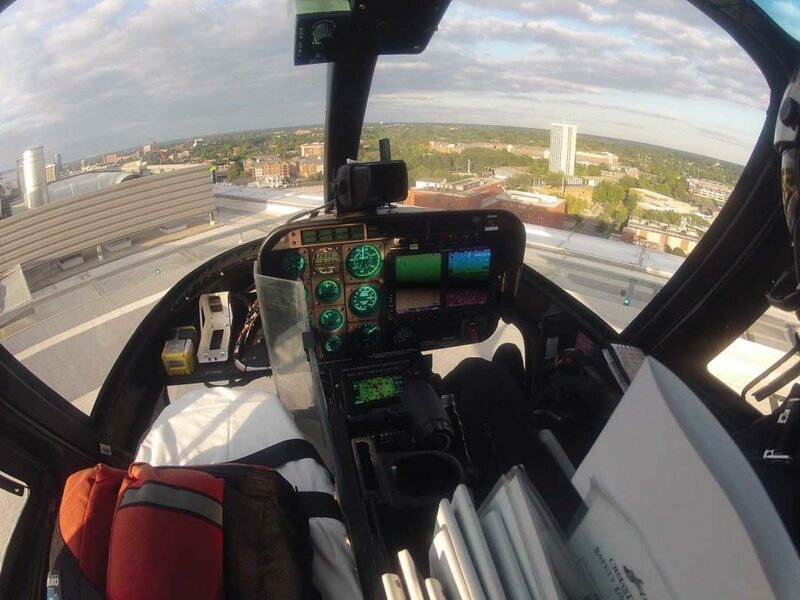 He emphasized, however, that another factor was just as important–Abshire and Coupel’s effective use of air medical resource management (AMRM). When Coupel first realized the gravity of their situation, she panicked. But as soon as Abshire tasked her with calling mayday, they were back on the same page, practicing what Baldwin identified as the fundamental principles of AMRM: communication, teamwork, and attention to detail. That professional rapport and personal friendship came into play weeks after the incident, too. Immediately after the event, Air Evac’s peer support team contacted Abshire and Coupel to offer their assistance. But as Coupel recalled, they were still riding an adrenaline high at the time. After all, they had survived the experience–why would they need help? The true gravity of what they had been through didn’t strike home for them until weeks later, when, during their debriefing session, Air Evac’s senior leaders played the recording of Coupel’s radio calls. When Coupel confessed how she was feeling to Abshire, he said he felt the same way. So they sought help from Air Evac’s peer support group and contract psychologist, Tania Glenn, who helped them process their delayed stress response. “I was thankful for the fact that we both figured out we needed to take care of ourselves before we just let it go,” Coupel said. Since then, Abshire and Coupel have both joined Air Evac’s peer support team to offer help to other crewmembers coping with traumatic incidents. 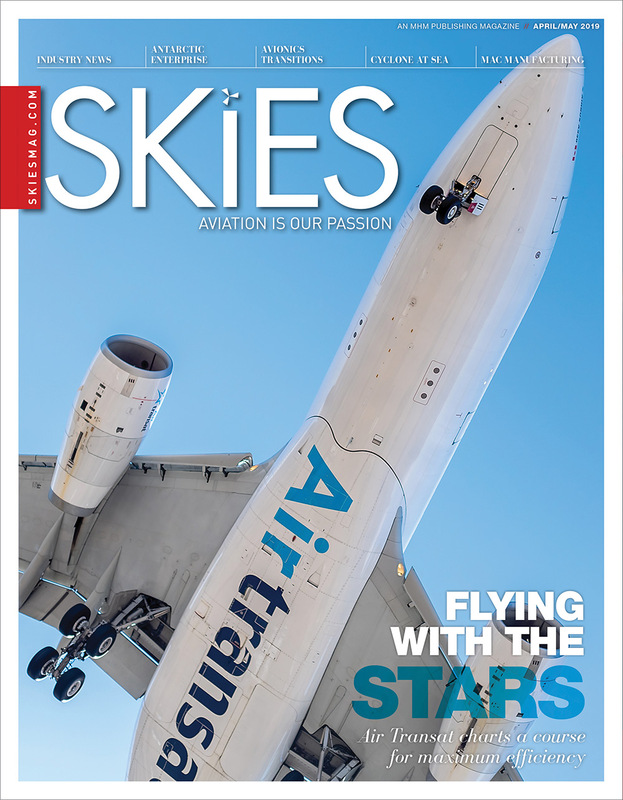 In October, they also shared their story at the 2018 Air Medical Transport Conference (AMTC) in Phoenix, Arizona. Abshire said he hopes that an event like the one he experienced never happens again. But if it does, he hopes the lessons learned will give another crew that fighting chance. The type of delayed stress response experienced by Tara Coupel and Lane Abshire is common among first responders, according to the trauma specialist who treated them, Tania Glenn. Based in Austin, Texas, Glenn focuses on treating post-traumatic stress disorder (PTSD) and has devoted her career to serving veterans, first responders, and their families. 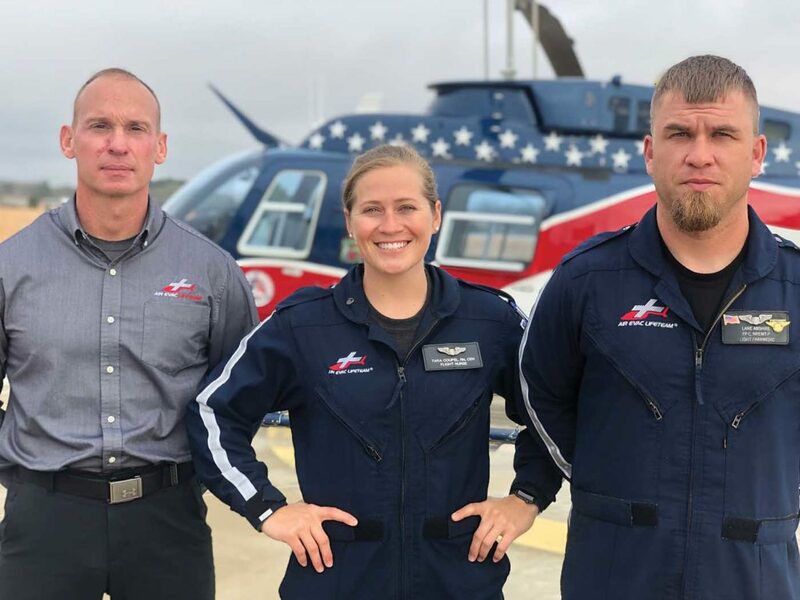 She has contracts with Air Evac Lifeteam and several other helicopter air ambulance and airborne law enforcement operators to help their employees cope after critical incidents. Glenn explained that a delayed stress response is one of two possible reactions to a traumatic event–the other being an acute stress response at the time of the event. Because first responders tend to be practiced at controlling their emotions under pressure, they may not experience the “fight or flight” symptoms of a stress response until a triggering event occurs weeks or months later. For Coupel and Abshire, that trigger was hearing the recording of Coupel’s radio calls and re-living the experience during the debriefing process. This is often combined with progressive desensitization. For flight crewmembers who have had a bad experience in the air, that may mean getting back in the helicopter with Glenn for a confidence-building flight. Glenn said that recognizing and treating the symptoms of a stress response early, as Coupel and Abshire did, can be extremely effective in preventing progression to PTSD. Peer support teams like Air Evac’s can be very helpful in this respect, by alerting their colleagues to symptoms to watch for and encouraging them to seek treatment when they need it. However, if you’re struggling with symptoms of trauma, the absence of a peer support team shouldn’t stop you from seeking help on your own–and Glenn emphasized that it’s never too late. She recommends seeking out a therapist who specializes in trauma and PTSD; apart from that, she said, the key is to find someone with whom you feel comfortable on a personal level. “You may have to educate your therapist on aviation, and flight, and what all that means. But it’s worth it to do that groundwork if you get in with someone you trust,” she said.